The StickWithUs Organization annually supports the Wounded Warrior Project with the Champions Challenge Lacrosse Event. The Champions Challenge features matchups between the best-of-the-best high school teams in the region. We embrace the WWP mission to honor and empower Wounded Warriors. All proceeds from the day are donated to the Wounded Warrior Project. In addition to a substantial contribution to the WWP on behalf of The StickWithUs Organization, we are actively seeking charitable donations to assist with the cost of producing this first-class lacrosse event. In our first 4 years, we have sent contributions of nearly $80,000 to the WWP. Contributions to The StickWithUs Organization, a tax-exempt organization under Section 501(c)(3) of the Internal Revenue Code, are deductible for computing income and estate taxes. The StickWithUs Organization is registered with the North Carolina Secretary of State and is a 501(c)(3) organization and contributions to it are tax-deductible to the extent allowed by law. To make a secure online donation to The StickWithUs Organization you may use our credit card gateway, please CLICK HERE to contribute. Title Sponsor - Please email us at info@stickwithus.org for details. 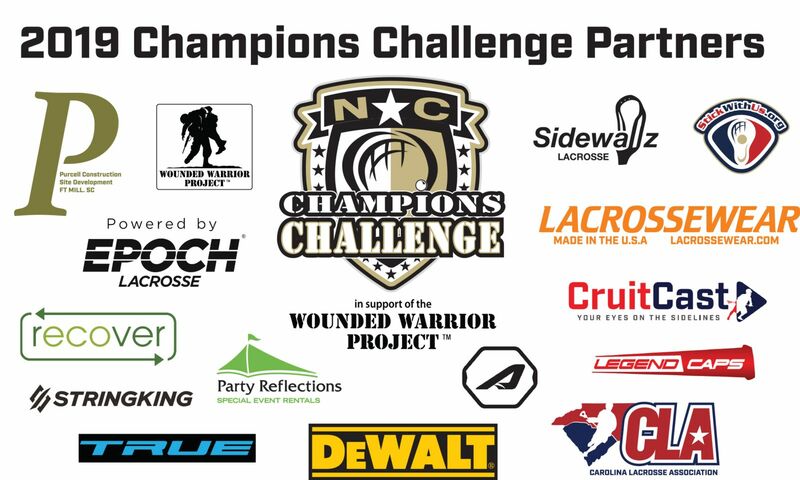 In addition to monetary and in-kind donations the Champions Challenge holds an all-day raffle - proceeds for the raffle donated directly to the WWP - have a product or service you would like to donate? Please contact us at info@stickwithus.org for details on donating products for our game day raffle.